A follow-up thought, hard upon the heels of what I wrote earlier about the kind of commentaries you need. When you do your own study of Scripture and then turn to your commentaries, are you hoping they’ll function as yes men, reassuring you that you’re on the right track, or that they’ll function as conversationalists, even partners in an argument over the text? Do you hope that they’ll say what you want them to say or are you willing to listen to them and let them convince you? Does it ever happen that you read a commentary and find it compelling, only to go on and read another one and find that he demolishes the first one’s position, only to read a third and find that he brings you at least part of the way back to that first writer’s view or maybe pushes you toward a different view altogether? If you never find yourself going back and forth, never find yourself having to work through arguments and weigh them, never find that you have to change your mind as you study, something has gone wrong somewhere, maybe in you, maybe in the kind of commentaries you’re reading. What Kind of Commentaries Do I Need? What kind of commentaries do you need to help you in your study of the Bible? You don’t need commentaries that tell you, in passage after passage, exactly what you’ve always thought or only what you yourself have already discovered. Such commentaries are generally a waste of your time. Why read So-and-so telling you what you could figure out on your own? Such commentaries may confirm your thinking, which can be comforting (“So I’m not the only one who holds this view of the text!”), and that’s fine. But they aren’t challenging — and you need to be challenged. If you’re buying commentaries, you should know that most evangelical commentaries say what other evangelical commentaries say. Which means you don’t need a pile of evangelical commentaries on any book of the Bible. If you have one good one, you pretty much know what all the rest of them are going to say. That’s especially true if the one good one you have is by Gordon Fee, who carefully interacts with a lot of other great commentaries to such an extent and so helpfully that once you’ve read him, you have a good sense of what those other commentaries say too. But what you do need, alongside one or two of the best of these evangelical commentaries, are commentaries that present options you may never have considered, that argue for certain options and against others, that bring to light things you may have overlooked, that make you think and rethink. 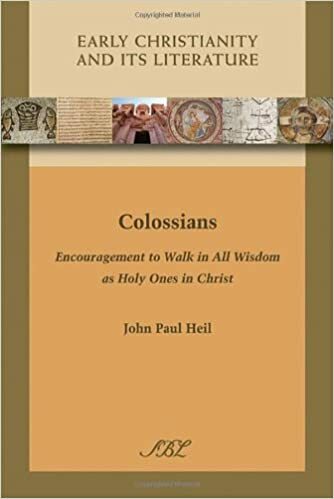 I’m thinking of commentaries like those by John Paul Heil, who shows (and does a remarkably good job of demonstrating) that epistle after epistle is written chiastically, with each subsection chiastically structured as well. 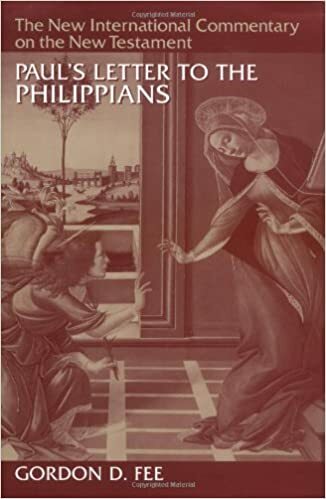 I’m thinking, too, of commentaries like the ones by Jakob van Bruggen, because Van Bruggen is never afraid to raise exegetical possibilities you’ve never even thought of and to argue for them and back up his arguments by pointing to things in the text that never jumped out at you. Such commentaries are time-consuming, not to say sometimes troubling, because they make you rethink things you thought you had already figured out. But for that very reason, they are worth their weight in gold. If you’re studying a passage of Scripture and no commentary you read ever makes you change your mind or at least pulls you up short and makes you say, “Huh. That’s not how I’ve always taken this verse!” and if you never change your mind in the course of your study or waver between the very different views strongly argued in two commentaries, both excellent, you need better commentaries.